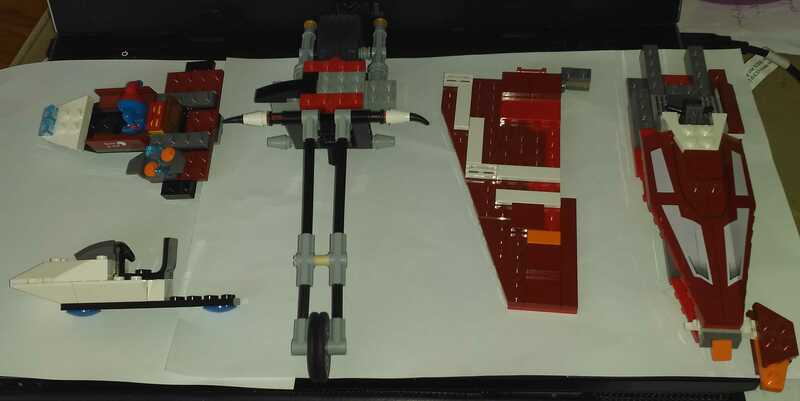 I got these assemblies and I am trying to figure out if they are MOCs or part of a set or sets. 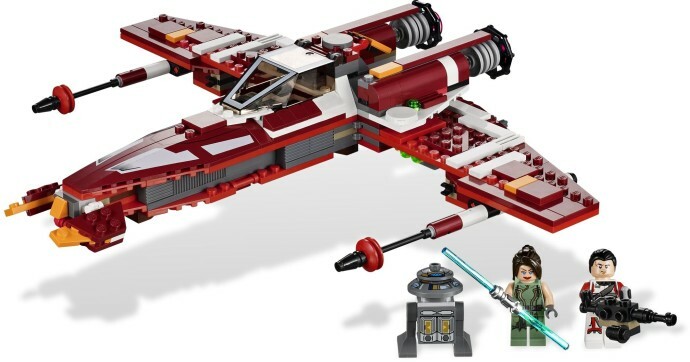 The little figure that has the clown inside has a part with a decal of "spirit of luis", but this only appears in 7307 so it might be a MOC. What about the rest. 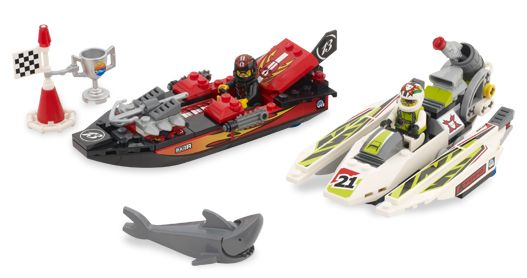 The little build in the bottom left corner is part of set 8897 Jagged Jaws Reef. 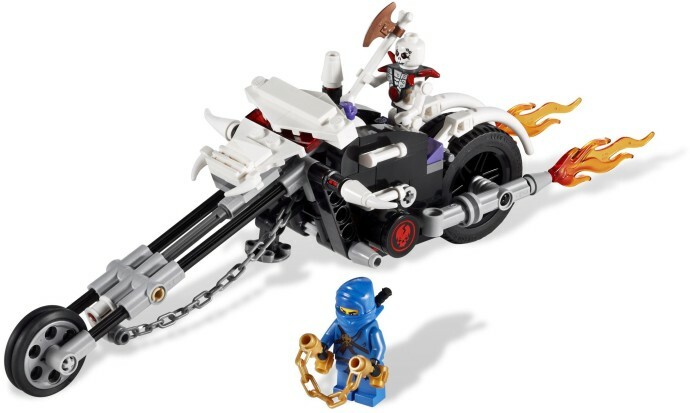 I found by accident that the bike is the 2259 Skull Motorbike, but partially built and modified. Can you please identify these two assemblies?